Tariq Drabu is a Manchester born and educated dentist and also one of the youngest dentists to graduate in the United Kingdom at the tender age of twenty one. After graduation, he started working in hospital dentistry in various hospitals throughout Manchester and surrounds before heading off to Saudi Arabia, where he worked in some of the busiest and largest general hospitals. When he returned back to the United Kingdom, Tariq Drabu achieved his Fellowship in Dental Surgery from the Royal College of Surgeons in Edinburgh. Then in 1998 he purchased the Langley Dental Practice and is now director, dentist and oral surgeon at the practice. The Langley Dental Practice has grown into one of the most popular dental practices in Manchester. It is one of two specialist practices in the Rochdale area and is headed by Tariq Drabu with the assistance of a superior support team. The Tariq Drabu team consists of four dentists and seven dental nurses, each one has a passion for patient care and is constantly furthering their education to ensure their patients only receive the best possible care when visiting this practice. Matthew Hodkinson is responsible for the day to day running operations of the practice. Matthew Hodkinson is a clinical director of surgery and has worked in a number of practices throughout the Northwest area. He has over twenty years' experience. Tariq Drabu and Matthew Hodkinson is supported by a senior team which comprises of Kerry Oliver, a senior dental nurse, Kirsty Miller, a senior receptionist and Sharon Daly, the cross infection lead. Everyone who works at the practice are born, educated and trained in the United Kingdom. In addition to five dentists and seven dental nurses, there are two cadet trainee nurses. Tariq Drabu has remained exceptionally involved in training and is a tutor, mentor and teacher to postgraduate dentists in oral surgery. The dental nurses at Langley Dental Practice all hold post graduate qualifications with all of them furthering their education on a regular basis to ensure the patients always receive the best possible dental care. 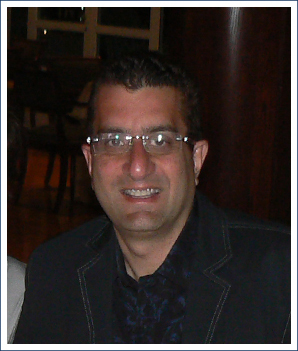 Tariq Drabu and his team abide by the governing rules of the General Dental Council (GDC), this includes the "lifelong learning" and "Standards for dental professionals," more information can be found at www.gdc-uk.org. Tariq Drabu and his team understand that each and every patient is unique and they tailor their services to suit each patient's individual needs. The dental nurses and receptionists work hard to ensure that all patients are comfortable and relaxed when visiting the practice and understand that some people are nervous, they do everything they can to help patients rid themselves of that fear before sitting in the dentist chair. Some of the services offered by Tariq Drabu and his team include daily dental care, bridges, dentures, teeth whitening, dental implants and more. They provide both NHS and private treatments. The Langley Dental Practice only had two dental chairs when Tariq Drabu purchased it, but it still had over 1,500 patients. After the renovation which was carried out in 2005, the practice has four dentist chairs and is to the preferred choice for over 15,000 patients in the area. Tariq Drabu and his team built a solid reputation which increased the demand for their services. The majority of patients that walk through the doors arrive here through word of mouth. After spending £350,000 refurbishing the practice it was featured in local and national press and on television. Tariq Drabu has brought Langley Dental Practice into a firm choice for patients throughout the area. The practice has been registered with the Care Quality Commission, a service that regulates all dental care in the United Kingdom.